The words dream house immediately came to mind when I first laid eyes on this project in Hiroshima, designed by Hiroshi Nakamura & NAP. 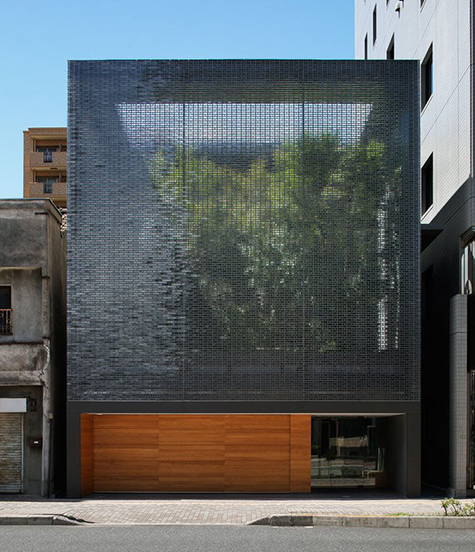 On a site surrounded by high-rise buildings and bordered by busy streets, the architects maximized both natural light, nature, and privacy through the construction of an impressive two-story optical glass wall, made from 6,000 cast borosilicate glass blocks. The courtyard provides a barrier to the sights and sounds of the city, thanks to the density of the glass. The living room, dining room, and bedrooms open onto the courtyard, giving the experience of a private forest. Another smaller courtyard lines the rear of the house. 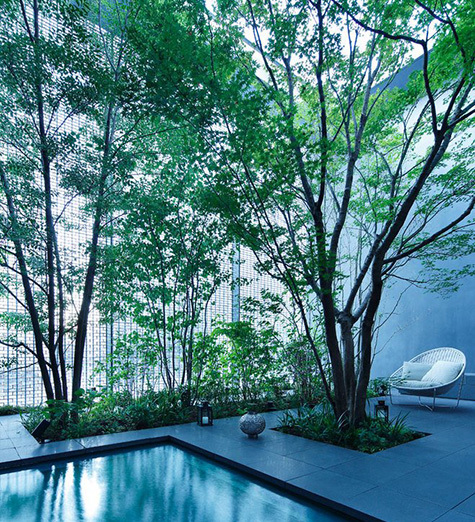 The main courtyard's shallow pool also serves as a skylight, opening up the home's entrance on the first floor to the courtyard above and reflecting watery patterns into the foyer. Magnificent. PS. Seriously, the bathroom sink and counter are milled from the same wood, creating a seamless, richly textured vanity. Just what I never knew I always wanted. Beautiful!